Looking for character in the country? This is it! Well-maintained and UPDATED home in a very desirable area. Close to I-40 and Tinker Air Force Base. 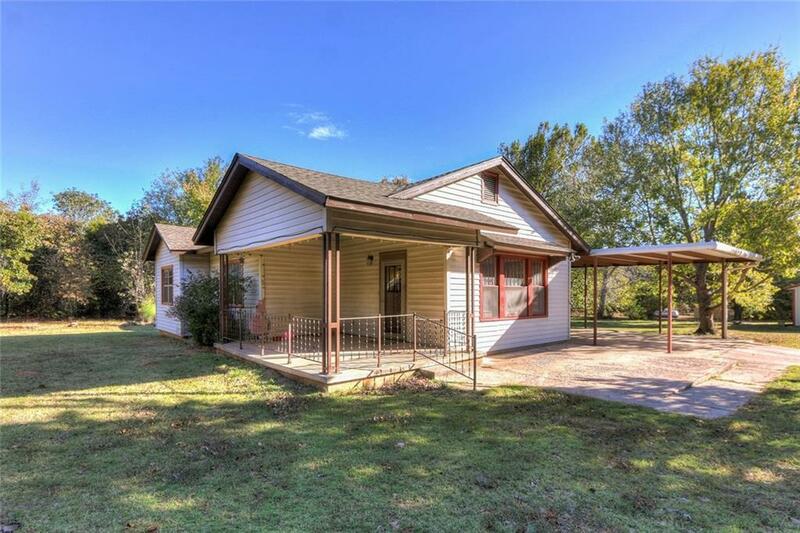 Home sits on over 4 acres with a Steel Siding 25x25 Shop. 3 Bed, 1 Bath with tub, Beautifully Remodeled Kitchen with Stainless Appliances, Remodeled Bathroom, New Lighting, and Hardwood Floors throughout. Huge covered back porch and additional covered parking. HVAC system is only 6 yrs old, New Roof in 2015, Hot Water Tank is 4 yrs old, Propane Tank is 2 yrs old and leased with Lundy's. Fireplace is wood burning with gas hookup. Property is Fenced with Gate. Choctaw-Nicoma Park Schools. There is just too much to mention on this one. Come take a look today and don't miss out!